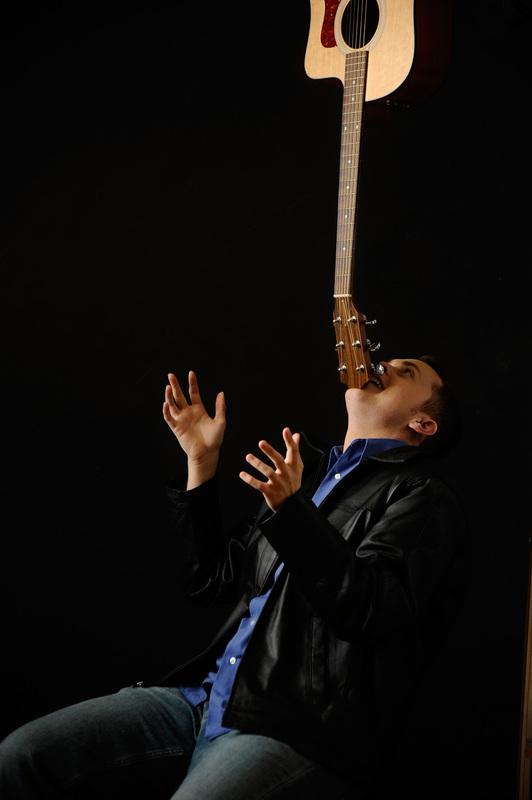 Will Chase Padgett balance his guitar on his face during Funny Music Weirdo? We can only hope. Photo courtesy of Chase Padgett. 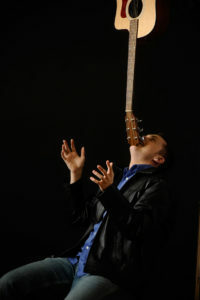 Chase Padgett melds his two most popular performance skills—guitar showmanship and comedic hijinks—in his latest show, Funny Music Weirdo, April 20-22 as part of year-round Fringe offerings through the Fringe Presents and Theatre Wire, the theatresubscription focused on independent theatre. Funny Music Weirdo promises an hour of comedy showcasing music, characters, stories, and Chase’s personal take on why Crossfit is cruel and unusual punishment—not to mention a looper machine and effects pedal hooked up to a Wiimote for some special musical effects. Chase will also be part of the Fringe Cabaret: After Dark—a late night Fringe Cabaret on April 22, starting at 10:00pm with fellow Fringe alumni, Jeff Leard (The Show Must Go On), Ingrid Hansen (Little Orange Man), David C. Jones (The Dance Teacher), Mark Hughes (Tragedy + Time Served = Comedy), and many more!